Based on a novel by Jung Eun Gwol, The Moon Embracing the Sun is a historical/fantasy drama about an intense love between a fictional king of Joseon and a female shaman which is continuously tested due to competitive political powers amongst the elite of the royal court. It aired for 20 episodes on MBC in 2012, and gathered substantial popularity along with winning various awards such as Drama of the Year at the 2012 MBC Drama Awards. It must have been a stroke of sheer luck that I chanced upon this drama as my first sageuk drama set against a backdrop of traditional Korean palaces, outfits, customs, and even a slight difference in the language spoken. The detail given to the settings and the character outfits and various ancient traditions such as offering prayers, handwriting letters, and attending royal events at the palace were a great insight into ancient Korea for me even if it probably wasn’t completely authentic. Overall I think this drama is quite solid, and let me elaborate on why. Firstly, I think the drama balances its various aspects of interest very well; as a viewer I caught a glimpse of how dynastic politics and ancient traditions can play a role in the personal lives of the characters while there are still instances of simple, heartfelt friendship and love — which are significantly more powerful when they are set against the cruel, competitive nature of politics within the Joseon kingdom. On that note, the relationships and issues portrayed in The Moon Embracing the Sun are as real and complicated as what we can experience in real life, and that made me really appreciate the drama even more. 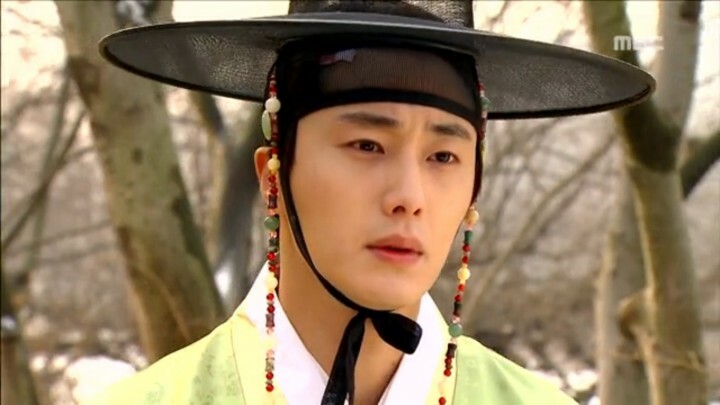 For example, Yang Myung (the king’s stepbrother, played by Jung Il Woo) and the king have a strong but strained friendship because of their royal status. The fact that the conflicts are set in an ancient kingdom where not everything is idealistic is something I really liked. Without giving too much away, it is admirable to see the drama touching on certain topics like how marriages always have a difficult aspect, how some people simply have a worse fate than others, and how some people become victims of other people’s manipulation. 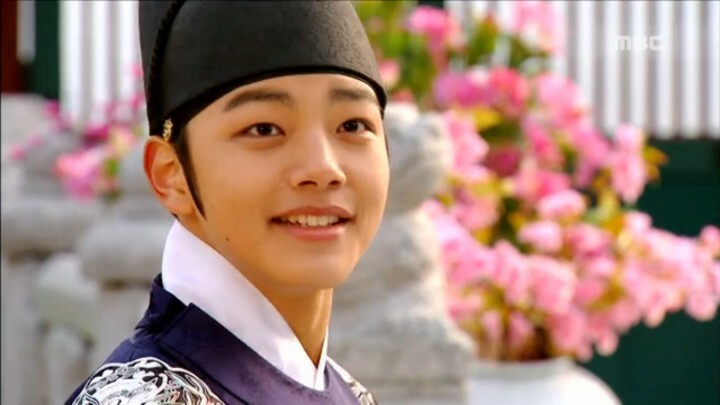 The second big reason that I enjoyed The Moon Embracing the Sun is the standard of acting from all of the characters — it’s incredible. Ranging from even the child actors who play the young king (Yeo Jin Goo) and the young shaman (Kim Yoo Jung), to the older actors such as the king’s servants and Joseon’s royal detective, there was not a single actor who made the plotline awkward or stagnant with their performance. 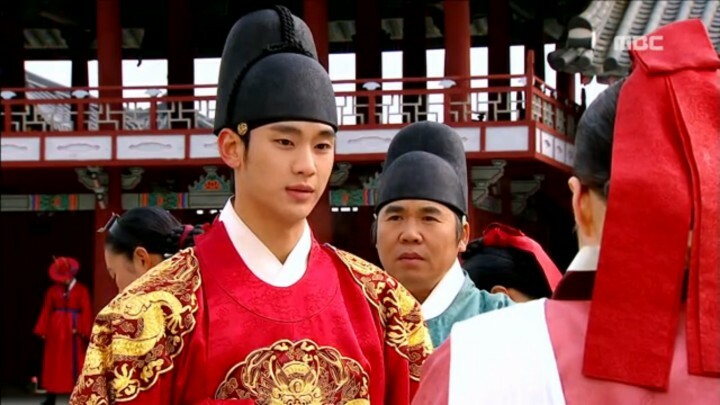 This also comes down to well written side characters, because besides having a compelling romance between the main leads (played by Kim Soo Hyun and Han Ga In), the side characters — such as the shaman’s grief-stricken but gracious mother and their fiercely loyal family servant Seol — are all well-rounded and interesting which makes the show much easier to watch. I also really liked the subtle symbolism throughout the drama which referenced its own title, such as the king giving his love a gift of an ornamental piece depicting the moon embracing the sun, and the head shaman forecasting events of chaos and trouble based on the red hues of the moon in the sky. Sometimes dramas completely move away from their title and you can lose sight of what the main storyline is, but The Moon Embracing the Sun always remembers to show us which characters are mainly important and how their relationship plays out in the story. The aspects of the drama which I thought were a bit lackluster are few — which goes to show that maybe I’m slightly biased towards this drama — but I still found some things that didn’t quite click. For example, I can imagine the producers of the show having a meeting and deciding to insert several funny scenes to maybe create “a drama you can laugh and cry at”. These infrequent funny scenes just felt misplaced and awkward given the overall serious and intense tone of the drama. Maybe this is just me, but having a casual laugh or two amidst an atmosphere of conspiracy, murder, fatal love, and betrayal is just…weird. Imagine the families of Romeo and Juliet sharing a light-hearted joke while the destined lovers meet their death — slightly odd isn’t it? So I felt that those scenes weren’t needed. Moreover, despite Korean dramas packing in a lot of plot into a single episode because they only run for one season, sometimes this drama dragged on a little. There are numerous instances where you just want to throw something at the screen and shout things like “Reveal her identity! Tell them she’s alive!”, and it made me feel impatient and frustrated. And although I said I liked the well-rounded authenticity of the side characters, sometimes there are just far too many subplots to follow and I genuinely would end up forgetting that the main story is about the king and the shaman’s destiny of being lovers. That being said, I definitely recommend you at least give this drama a try, and once you’re hooked like I was, you’ll see why it was such a popular TV drama in Korea.